Writing a real estate contract will normally rely heavily on the technical knowledge of the licensed real estate professional that you work with. 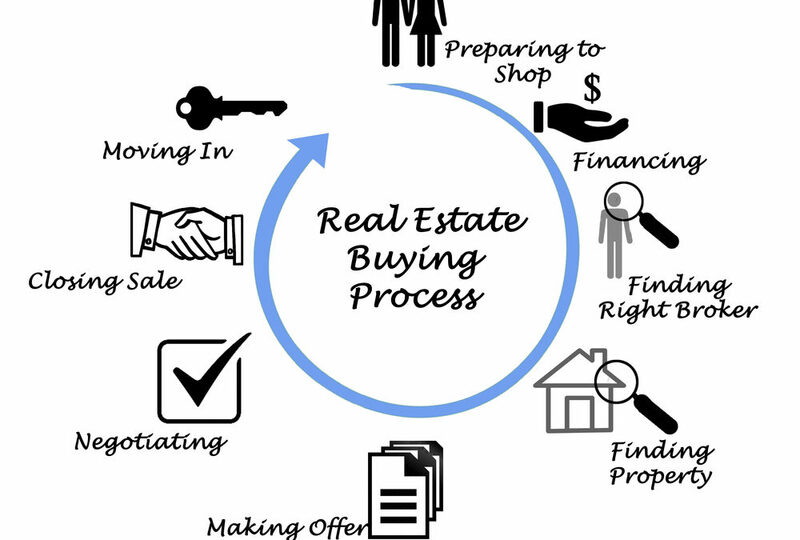 The process of acquiring real property is riddled with complexity. In most cases there are literally dozens of forms of contracts and addenda available to choose from. 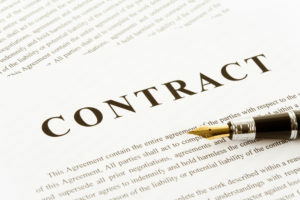 Some contracts are very specific to particular transactions while others are designed for a wide array of transactions. Each contract has a variety of terms and stipulations that must be adhered to by either or both the Seller(s) and/or the Buyer(s). It is of the UTMOST IMPORTANCE that these various terms and stipulations are met or the potential for the deal to suffer fatal consequences becomes very high. There are a variety of very negative consequences that can develop as a result of not using the correct contract or failing to meet contractual obligations for either or both parties to the transaction. Very often the negative consequences resulting from these lapses in performance on the part of either or both the seller and or the buyer can be measured in actual dollars lost or in lost potential. There are two common Florida real estate contracts used in today’s market. The AS-IS contract for sale or purchase – In a nutshell this contract basically states that the buyer accepts the property in “as is” condition and desires no additional monies for repairs. The Residential Contract for Sale and Purchase – Although there are a couple differences between the AS-IS Contract and this contract, the most notable difference is the section on costs to be paid by seller based on necessary repairs. These amounts are usually a percentage of the offer price (1.5%). It is very important that everyone understand that the process of transacting on real property is not a unilateral endeavor. Meaning that there are multiple parties to a transaction and that will mean that there are multiple agendas and goals trying to be achieved. Buying and Selling real estate is very much like being in a relationship. One has to understand that there are other people with needs involved and if a deal is to be struck then everyone must be considerate of each others goals. Offer price – Offer prices vary by market but are usually at or around the listing price, assuming that the listing agent did a good job properly valuating the property. Offer type – The two most popular offer types are cash and financing. Financing offers usually have a “finance contingency clause” which allows the buyer to back out should they get denied for their financing or the appraisal not come in at the offer price. With a cash offer the buyer is offering cash for the property and does not get a financing contingency. Deposit amount – The deposit amount is the “valuable consideration” the buyer is wanting to put up with the contract. Deposit amounts vary and can be as little as 1,000 and as much as 20% or more of the purchase price. If you are making a cash offer I always suggest putting up at least 10% of the offer price. If it is finance, I suggest to put up the down payment amount required by your loan. Higher deposit amounts show the seller you are more serious about the purchase. Time for acceptance – This is the time that the seller has to consider the offer before it is automatically withdrawn. Payment of Closing Costs – This outlines who will pay for the title costs to close on the property. In Florida, this varies by county, for example in Lee County it is usually the seller that pays the title costs. However in Collier County it is the buyers who typically pay the title closing costs. You can adjust this in your offer and it will make it stronger or weaker depending on who you offer to pay. In a county that typically has the seller paying the title fees, it may be a good idea for the buyer to offer to pay them, as it will strengthen your offer by netting more proceeds to the seller. Inspection period – This is the time in which the buyer has a chance to inspect the home to make sure there are not any major issues with the property and are usually anywhere between 7-15 days. Buyers will be able to cancel offers within the inspection period without any penalty, retaining their deposits. Closing date – This is the date that the buyer wishes to close on the property. Typically, the faster the closing the better the chance you will have to get your offer accepted. There are exceptions to this, especially if the seller needs to extend closings because of relocation etc. You will also need to take into consideration factors like the time it takes to research the chain of title, appraisers and coordinate lender closing documents. Any additional contingencies – Some offers may be contingent on your current home sale, verifying zoning, schools etc. I made my offer, Now What? Offering to purchase a property is the start of “A Meeting of The Minds.” This means that both sides of a transaction must come to an agreement that is satisfactory and acceptable for everyone on the buyer’s line AND everyone on the Seller’s line. With this in mind it is important to recognize that a contract offer is simply an offer, which is obviously tailored to further the agenda of the Buyer(s) and achieve the terms that desirable to the Buying side of the transaction. There are essentially three (3) possible reactions to a contract offer. The offer is accepted as is – This is obviously the best case scenario for the Buyer. The terms that were structured on the contract offer were designed to suit the buyer’s needs and should therefore be optimal for the buyer. So, if the seller(s) is/are agreeable to the terms of the original offer than it is safe to assume that the buyer(s) should be pleased with the acceptance. The offer is Refused or Declined – This is obviously the worst case scenario for the Buyer. The terms that were structured on the contract offer were entirely rejected and the offer is not being considered any further. There are many reasons why this may occur. 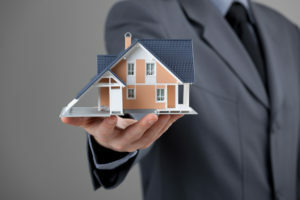 However, the most common seem to be that the seller(s) have already accepted another offer, or the offer was so far from satisfactory to the seller(s) that there was no interest in negotiating (too far apart), or, in many states the seller is not obligated to accept any offers and may, for whatever reason, simply say no. The offer is countered – This is the beginning of realizing the affects of multiple agendas and goals. At this point the Seller(s) have evaluated the terms and conditions of the Buyer(s) offer and began the process of manipulating them to better suit their own goals in selling the property. This process is not limited to any one revision or any specific amount of revisions. There are no limits as to what terms or conditions my be altered and the process of “Offer – Counteroffer” carries with it an infinite amount of possible outcomes as it pertains to the terms and conditions of the contract. Also, it is important to remember that this process can result in achieving the “Meeting of the Minds” and therefore a commitment or, just as likely, a failure to come to the “Meeting of the Minds” and ultimately no deal. It cannot be emphasized enough that the Technical knowledge and experiential knowledge of a licensed and qualified Real Estate Professional is very important in dealing with the organization and structure of a contract offer that is compatible with the Buyer’s goals. Additionally, any Counter offer negotiations that follow a contract offer are carefully designed and considered in efforts to maintain that compatibility. Do not get frustrated or discouraged if the initial offers are rejected or countered and ultimately never materialize into and accepted deal. It is important to be patient when dealing in Real Property Transactions. Frustration can lead to impaired decision making and that can be very costly in this sort of transaction. The terms and conditions that become final and are committed to by both parties are enforceable by law and it is the ultimate responsibility of each party to any transaction to ensure that the final version of any contract is acceptable prior to signing and making the commitment. The biggest reason offers are delayed from being accepted are the proof of funds or bank pre-qualification letters are not submitted correctly or at all. Proof of funds or bank pre-qualification letters should be dated within 30 days for the full purchase amount, have the same name as stated on the contract, be in English and in US dollars. a lot of the points study currently! !